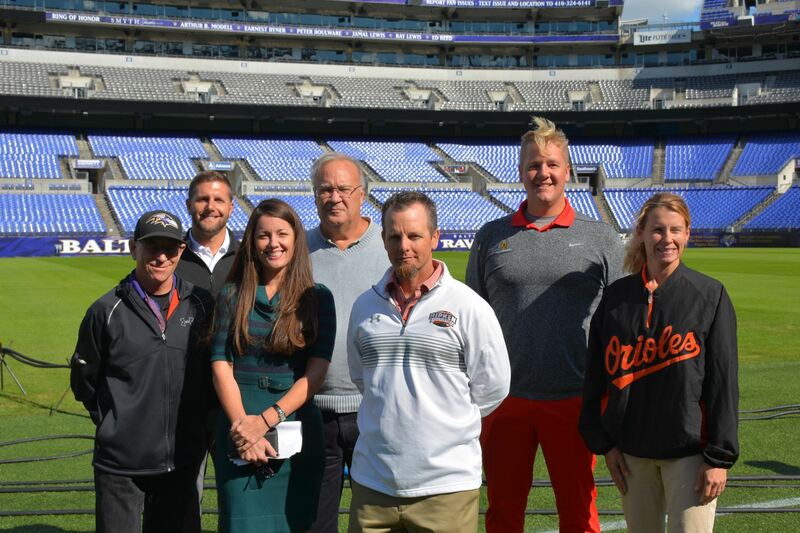 The newly re-formed Mid-Atlantic chapter of the Mid-Atlantic Sports Turf Managers Association (MASTMA) had their first member organizational meeting at M & T Bank Stadium on October 25. About 150 STMA members and prospective members attended the event which included an educational program, information about the re-kindling of the chapter, and a field tour. The educational program included PowerPoint presentations, a panel discussion, and a field tour. 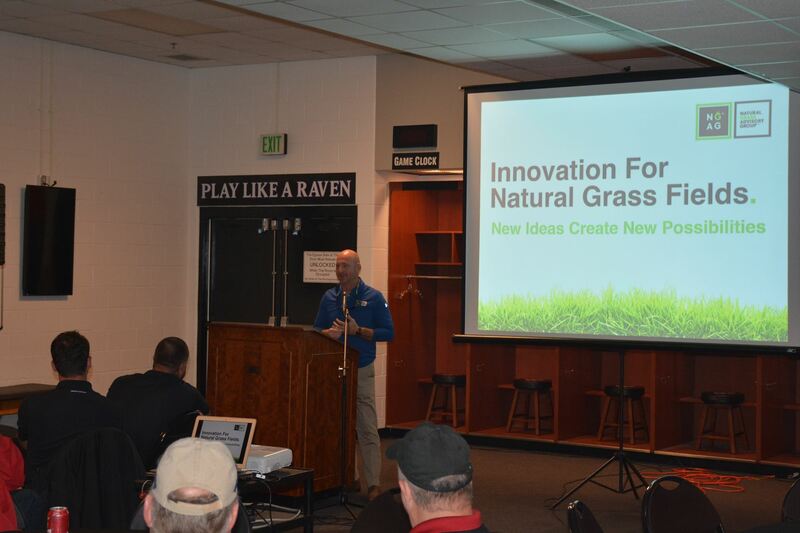 The PowerPoint presentations included Baltimore Ravens Head Groundskeeper Don Follett, who spoke about the conversion of the M & T Bank Stadium from a synthetic surface to 419 bermudagrass, Jerrad Minnick from Growing Innovations who spoke about the latest technology in stadium lighting; Dr. Tom Turner who spoke about an overview of the turfgrass research program at the University of Maryland; and a panel discussion including lead groundskeepeers from many of the regional professional stadiums. The field tour provided an opportunity for attendees to take a look at the overseeded 419 bermudagrass field and the SGL lighting system used to improve the light quality for the turf against the long shadows of this second half of autumn. 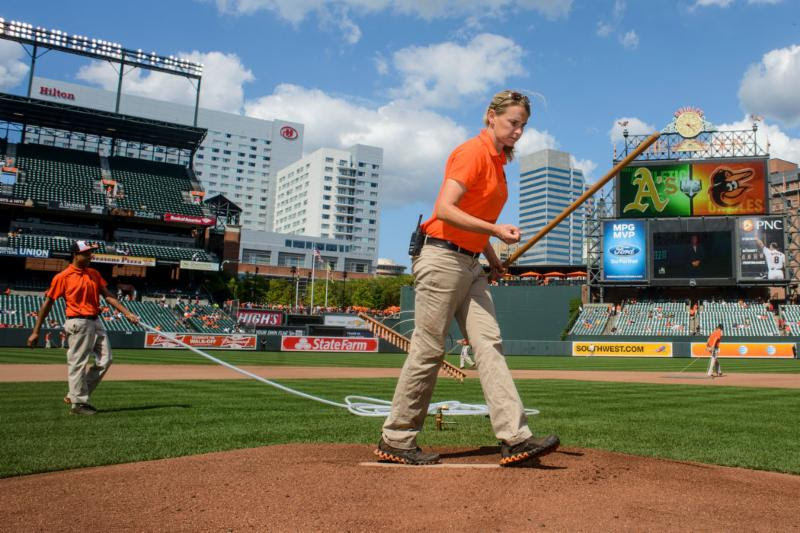 The on-field portion of the meeting also included a presentation by University of Maryland professor Dr. Kevin Mathias demonstrating uses of a variety of field tools and instruments sports field managers can use to make their job easier and increase their turf management precision. 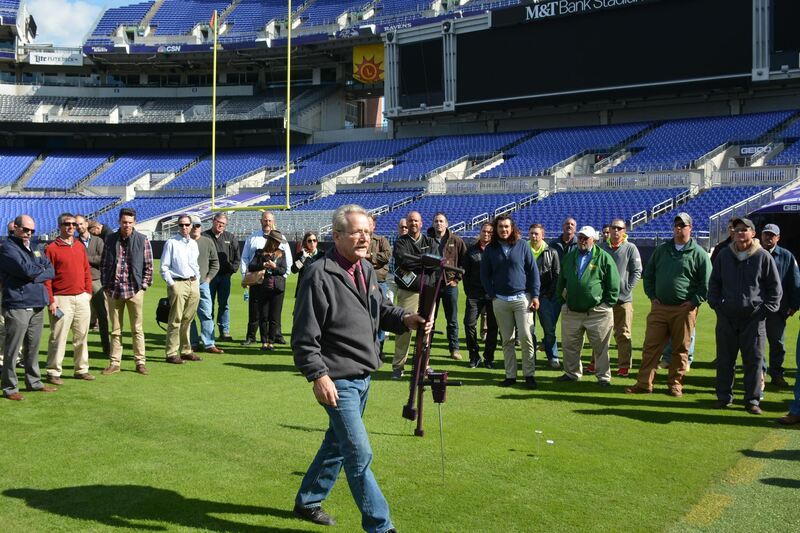 “It was a great day of learning, networking, and sharing ideas with other turf managers from the Mid-Atlantic. 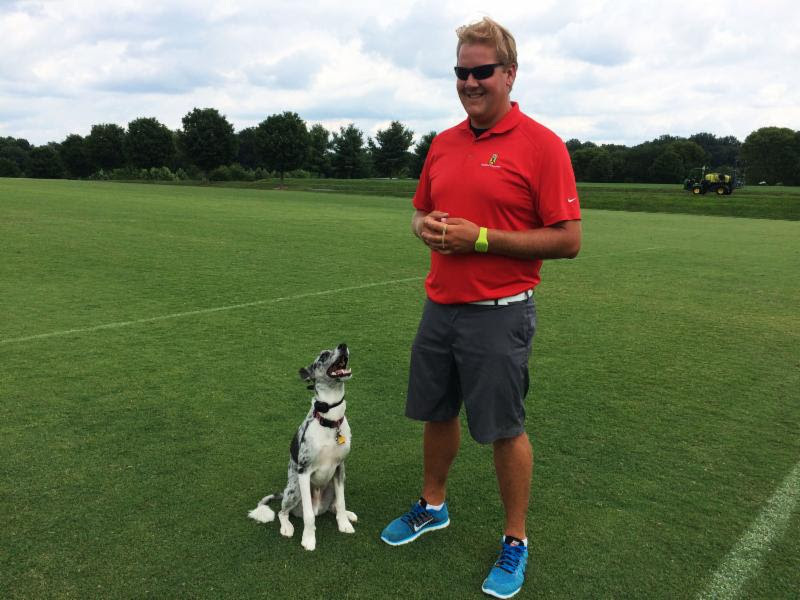 The overall attitude and response from the meeting was overwhelmingly positive, and I look forward to continuing to expand this network with MASTMA!” noted Ryan Bjorn, Director of Grounds and Environmental Maintenance at Maryland SoccerPlex. The groundwork of the chapter rejuvenation has been accomplished over the last several months by a steering committee including sports turf managers at some of the region’s professional complexes and industry suppliers. Re-starting a chapter that faded out about a decade ago, this first meeting represents a lot of hard work by the steering committee over the last several months. “I’m proud of what this steering committee has accomplished so far. There is a lot of work left to do but looking at where we are today and how far we have come in a short period of time is remarkable,” noted Mr. Kopp. “It was invigorating to be a part of this process and to see it come together so well. The number of people that attended was great, but the level of enthusiasm for what we are trying to accomplish was what excited me the most. I can’t wait to see how we harness the momentum and carry it forward,” said Patrick Coakley, who manages Ripken [Sports Complex] in northeast MD and is on the steering committee. Hopefully, MASTMA can keep the momentum. 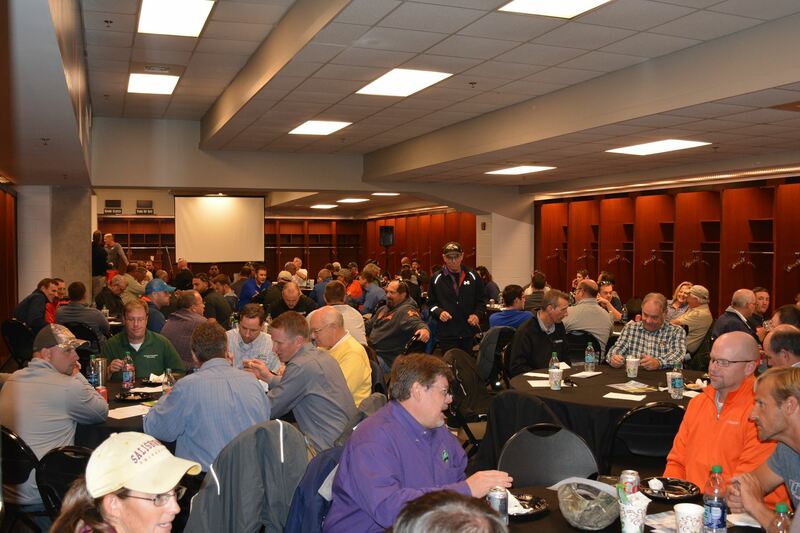 As evident from the crowd at M&T, sports turf managers from around the Mid-Atlantic are happy to have an STMA chapter they can call their own! American Lawn and Tree Specialists, Inc. is currently growing and we are currently looking for qualified Lawn Care Specialists and Production Managers to contribute to the success of our company. We are expanding and currently have locations in the White Marsh and Westminster areas. We are a lawn care and tree/shrub care service company providing our services to both residential and commercial customers. We perform lawn care and landscape programs for our customers servicing all of central Maryland. We have an A+ Rating with the BBB and a 4.7/5 Rating with Homeadvisor. We are looking for full-time career minded experienced lawn care specialists with a strong knowledge for tree/shrub care. possess at least a high school diploma have at least 1 year of experience in lawn care (ie. fertilization, weed control, etc.) be able to work Monday-Friday (6:30 am-5:00 pm) and sometimes Weekends be able to perform physical activities, (job includes some strenuous activity) have reliable transportation, possess a valid driver's license and good driving record be able to pass drug screen and DOT physical have good communication and writing skills be able to safely drive company vehicles report to work consistently on a daily basis when scheduled to work be able to work independently have the ability to communicate with customers, verbally and in writing, about our service and their properties and address different concerns customers have with varying conditions. be efficient in completing daily tasks. The successful candidate will be paid a weekly salary and commissions based on Experience and Knowledge. American Lawn and Tree Specialists strongly believes as a company that we deliver the best service available to our customers. We also value our people that deliver this exceptional service on a daily basis. We do offer our employees' health care options, dental plans and 401K options among others benefits. If you are interested in being part of a strong and growing company where you can grow and be proud of the work you do then email me today at joe@americanlawnandtree.com Attach an updated resume. American Lawn and Tree Specialists, Inc.
Why work at Blades of Green? Work with an outstanding, fun group of individuals; excellent benefit package and Ownership in the company with our Profit Sharing Plan. At BOG, an industry leader with 27 years in the business. We believe in developing long-term relationships with both our clients and our team members and making the ordinary, extraordinary. Compensation commensurate with experience. We want the best and know what it takes to attract and keep the best. About Blades of Green: BOG is a locally owned and operated lawn care and pest control company in the Annapolis, MD area that has been servicing homes and businesses for over a quarter century. Homeowners and businesses throughout Maryland rely on Blades of Green to beautify their lawns and landscapes and protect their homes and businesses from pests. Hard work and excellent client service are the hallmarks of our company and will continue to be the core of the development at Blades of Green. Blades of Green is a team of highly trained, hard working individuals who have made a commitment to the highest levels of education and client-focused service. We are the proud recipient of the 2014 Angie's List Super Service Award for the 5th year running. The award honors excellence among service providers who maintain a superior service record. Less than 5% of businesses earn the award. About the position: Blades of Green is looking for a management professional who has experience in both sales and production. The successful candidate will have experience managing and motivating staff to achieve company goals and standards. The successful candidate will also have experience in either the Lawn Care or Pest Control field and have a passion for growing with the company and creating a long-term career. At Blades of Green we are looking for individuals with impeccable integrity, drive and someone who is willing to bring fresh, new ideas to the table. We are looking for "A" players, individuals who aren't afraid to dive into a new position, learn all they can and assist our team in being the model in our industry. Qualifications: Candidates should have at least 5 years of management experience in a production oriented environment and should be familiar with sales. Ideal candidates will also have experience in either the Lawn Care and/or Landscaping field or Pest Control field. Lastly, candidates should be well versed in all aspects of customer service including responding to escalated service calls and complaints. We are currently looking for a professional to manage our Turf Care sales efforts in the DE, MD and VA region. Specifically Aquarius is a major distributor of the Holganix brand of Bio-Nutritional supplements. For more information visit www.holganix.com. Having started at the ground floor with this game changing product line, we are now ready to expand to the next level with a Turf Professional leading the Team. Our successful candidate will possess a minimum of 5 - 7 years sales experience, preferably in the lawn care, irrigation, contractor supply, or landscape markets. A combination of education and experience equivalent to an associate’s degree in agronomy, turf grass management and sales experience preferred. Aquarius Supply offers a competitive compensation package and benefit plan, which includes; medical and dental insurance, 401k pension plan, life insurance and a company vehicle. To learn more about Aquarius Supply, please visit us at www.aquariusSupply.com. Join your colleagues, peers, and Mid-Atlantic industry experts for a full day of learning and sharing at the inaugural meeting of the newly formed Mid-Atlantic Sports Turf Managers Association (MASTMA). This full day educational seminar is eligible for 6 pesticide re-certification credits(Category 3C [Turf]). 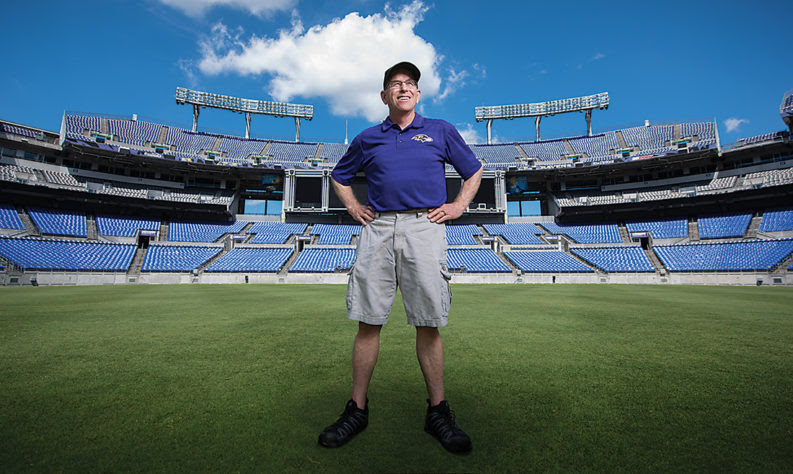 Hear from the legendary Don Follett of M&T Bank Stadium, Jerad Minnick of Growing Innovations, and Dr. Kevin Mathias of University of Maryland. Join us for a turf quality evaluation equipment field demonstration followed by an open panel discussion with leading industry experts including: Don Follett, Nicole McFadyen, John Turnour, Steven King, Ryan Bjorn, and Patrick Coakley. The seminar adjourns with a quick turf grass research update from Dr. Thomas Turner and happy hour drink specials across the street at Pickles Pub. The MASTMA steering committee will also be taking nominations for Board of Directors and officers. This meeting will set the stage for shaping the new chapter so all participation is encouraged. 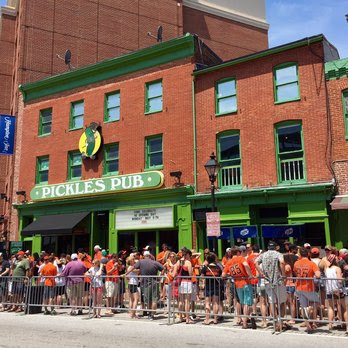 Enjoy happy hour specials with your peers in a private party suite in the newly renovated second floor of the infamous Pickles Pub. Conveniently located within walking distance from M&T Bank Stadium across from Oriole Park at Camden Yards: 520 Washington Blvd, Baltimore, MD 21230. Mission Statement: The STMA Mid-Atlantic Chapter promotes the profession of sports field management via a nurturing environment consisting of education, innovation, mentoring, and networking. Classic Landscaping is seeking a highly motivated individual for the position of Commercial Lawn & Plant Health Care Technician. Position is salaried and offers benefits. Bonuses are also awarded for stellar performance. Classic Landscaping is a multimillion-dollar corporation that provides "best in class" services to its clients. Provides service to commercial customers, HOA’s, apartments, by making timely lawn/landscape applications in the field, diagnosing and correcting lawn/landscaping problems through service calls and other customer communications. Requires extensive local travel. Valid, permanent driver’s license from state of residence and a clean driving record per company standards are required. Must be 21 years of age by date of hire. Full service landscape maintenance company, providing extraordinary service since 1979. Serving North Central Maryland and South Central Pennsylvania. We serve our customers through responsiveness, accountability, integrity, service, and excellence. I am very pleased to announce that there is renewed and dedicated interest in re-establishing an STMA affiliated chapter in the Mid-Atlantic region. Led by Steering Committee members Nicole Andrews, Don Follett, Nicole McFadyen, Michael Stachowicz, Heather Johannes, Jerad Minnick, Jason Kopp, and Dr. Kevin Mathias, they are in the process of assessing interest; thus, the reason for this email. STMA does not release its members’ email addresses without permission. If you are interested in learning about the Chapter’s formation and how you can be a part of it, please email me, and I will notify the Steering Committee. I know you will agree, "All agronomy is local" and having a strong local chapter as a resource can be very valuable to your continuing education, career advancement and to your community. Copyright (C) 2013 *Sports Turf Managers Association* All rights reserved.